This month we are presenting “To Be Determined” a workshop with artist Emily Jacir in conjunction with her current exhibition at IMMA – Europa (26 November 2016 – 26 February 2017). 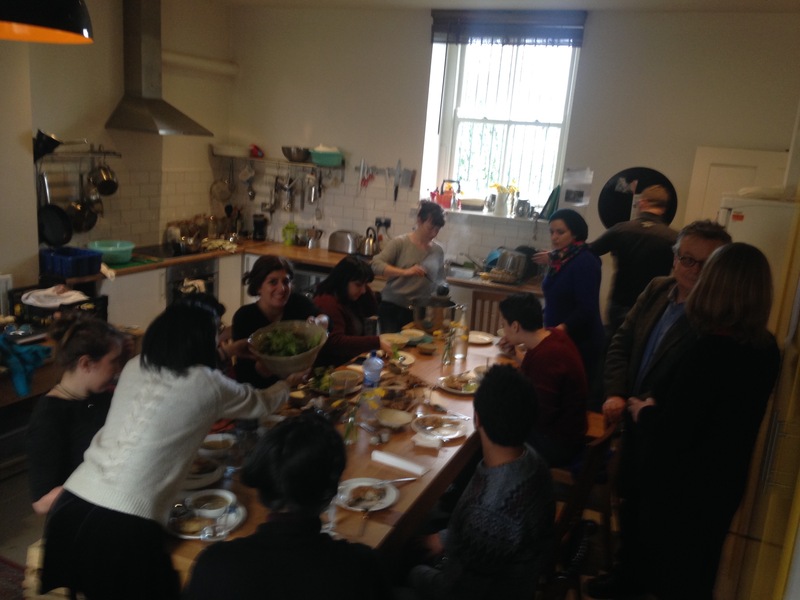 Conceived and organised by Jacir the workshop is based around a student exchange and we are delighted to welcome her students from the International Academy of Art Palestine, Ramallah to Dublin. They are in IMMA to work with Irish students from colleges around Ireland including Limerick School of Art and Design (LSAD); Galway-Mayo Institute of Technology, Centre for Creative Arts and Media (GMIT CCAM); the National College of Art and Design (NCAD), Dublin and Dublin School of Creative Arts, Dublin Institute of Technology (DIT).The workshop is taking place over two consecutive weeks in IMMA and also in a number of locations around Ireland, including Belfast, the Centre for Contemporary Art, Derry/Londonderry (CCA Derry~Londonderry), and the Burren College of Art, Co. Clare. Jacir has invited a number of artists and writers to contribute to the workshop including Gerard Byrne, Shane Cullen,Willie Doherty,David Lloyd, Declan Long, Conor McGrady, Áine Phillips, and Maggie Royanye. Below we hear from Emily Jacir and the participants in the programme, both artists and students, on their reflections after week one. IMMA are hosting a brilliant initiative right now, as part of the extended Engagement and Learning programme around Emily Jacir’s show. Together with the museum, Emily has brought together a group of nine students, from the International Academy of Art Palestine, GMIT, LSAD, DIT and NCAD, for an intensive series of discussions and reflections around the politics and the art of Ireland and Palestine through the prism of Post-Colonialism. Parallels as well as differences are being teased out in the IMMA artist residency studios, as well as on bus trips to Belfast, Derry, and the Burren School of Art, where students are tapping into a network of ties that Emily has built up on Ireland and abroad with some of the more challenging and interesting Irish artists, including Willie Doherty, Shane Cullen, and writers like David Lloyd, and Declan Long. I’m involved, and really enjoying it. 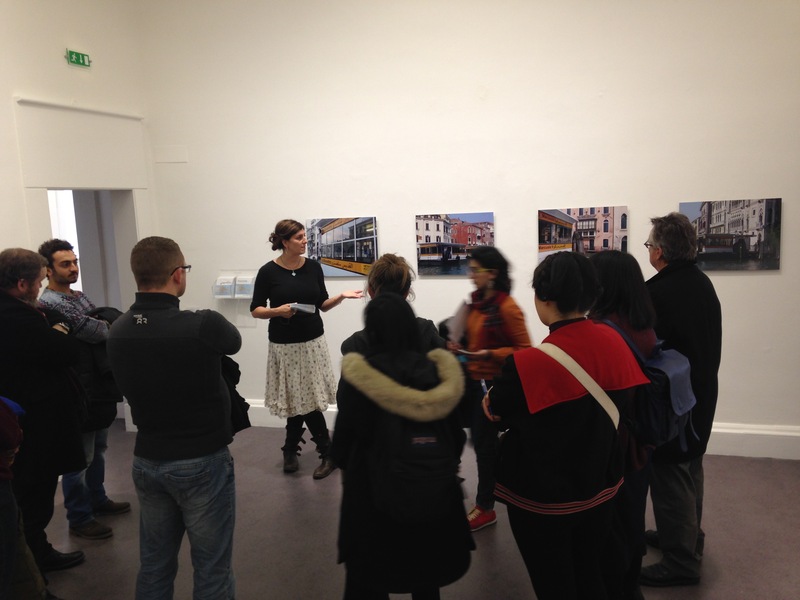 My workshop To Be Determined (for Jean) kicked off last Sunday January 23rd at the Irish Museum of Modern Art. 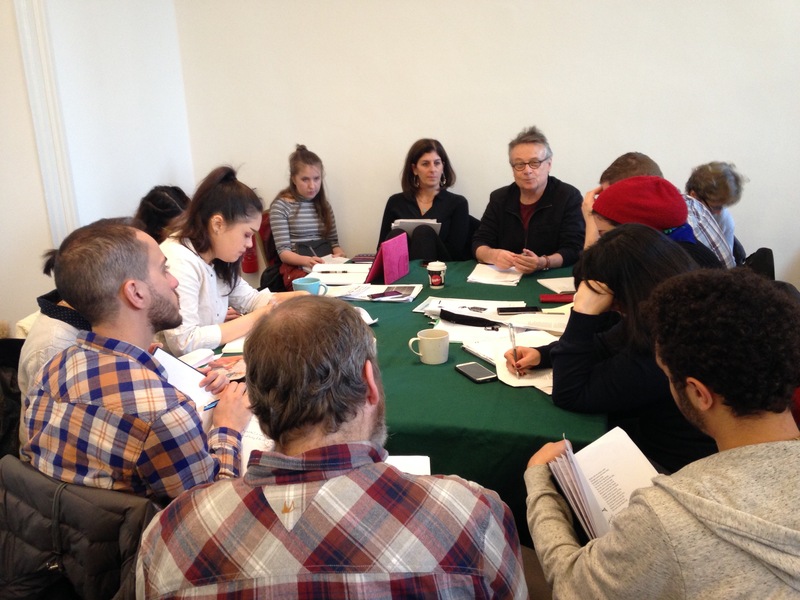 My students from the International Academy of Art Palestine, Ramallah, joined Irish students from colleges around Ireland to take part in a workshop I designed and organized in conjunction with my show at IMMA Europa (26 November 2016 – 26 February 2017). It was very important for me to conduct this workshop in tandem with my show for many reasons but namely because of the long relationship I have with Ireland its impact on my work. Many of the themes which run through my exhibition at IMMA are being touched upon in this workshop. Additionally the colleagues I have invited to contribute to my workshop are people I have been working with for decades and almost all have worked in Palestine. So the workshop is not only built along the lines of my own research, explorations and interests but also in line with a long history of exchange and collaboration with Willie Doherty, Conor McGrady, Gerard Byrne, Shane Cullen, and David Lloyd among many others. In my view this workshop also joins an enduring history of solidarity between Ireland and Palestine and so we will also be investigating not only that history of solidarity and collaboration but also the current situation of Palestinian prisoners (the role of prisoners in both Ireland and South Africa played crucial roles in ending those conflicts) as well as popular techniques used by the Irish (and also South Africans) which have served to inspire Palestinian efforts to resist occupation. As Europa opened during the centenary of the 1916 Easter Uprising and with the shared history of British colonial rule in Palestine and Ireland (remnants of which still abound today) it was especially crucial to me to bring these students and thinkers together to examine these histories in a critical way. At the core of this workshop is a focus on the events and discourse surrounding the Easter Uprising of 1916 in Dublin. 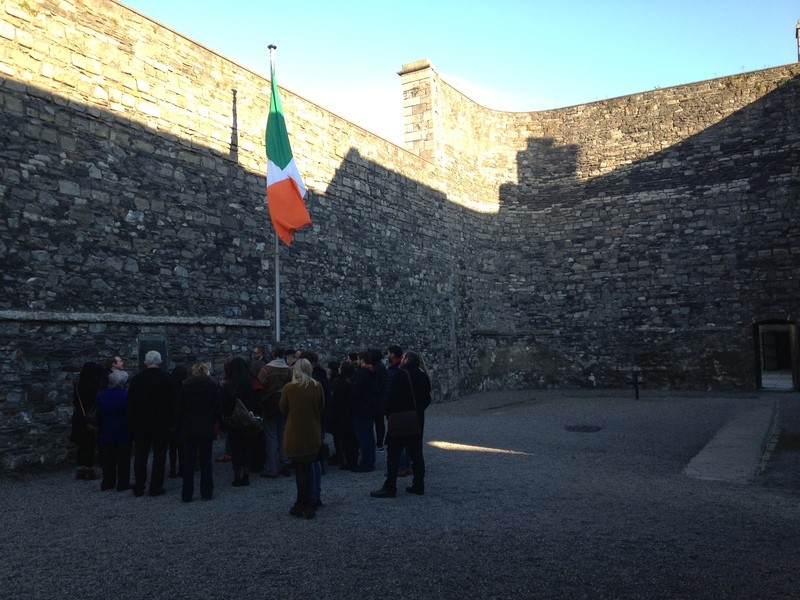 For this reason it was essential to me to organize a visit to Kilmainham Gaol (above) and the Royal Hospital Kilmainham (where IMMA is housed) upon arrival in Dublin so that the students would understand the site and buildings in which we are working in and having our discussions in. I invited my colleagues to lead seminars that would interrogate themes such as resistance, the right of return, martyrs, independence, remembrance and commemoration from a variety of different perspectives. We kicked off the first half of the week with a fantastic seminar led by David Lloyd called “Founding Violence:Rethinking Easter 1916”. In investigating the postcolonial condition of Ireland, we are examining how this violent colonial history and these invasive disruptions of social, cultural, religious and political orders play out in contemporary Ireland today and how it continues to shape our present condition. 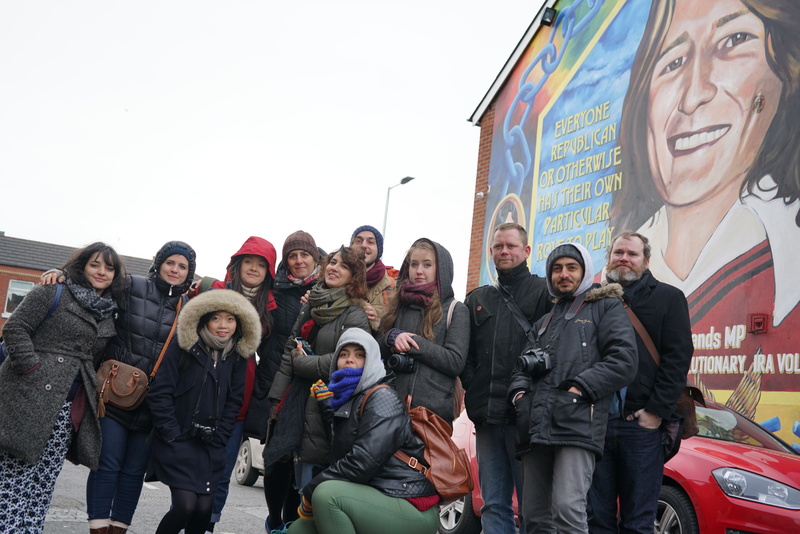 Wednesday we headed to Belfast for a tour of the Falls Road Murals guided by a former political prisoner. This was followed by a seminar with former political prisoners from the Republican and the Loyalist communities, as well as a former British soldier. After our return to IMMA we continued the workshop with a couple of seminars led by artist Gerard Byrne exploring the role of the artist in imagining the state. 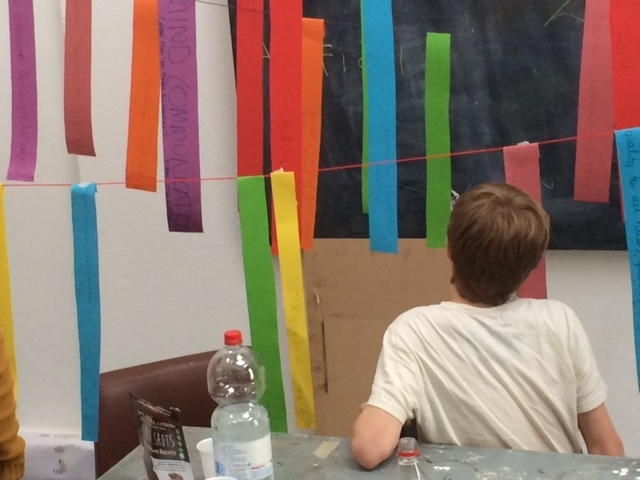 In smaller group meetings with Gerard, the students were able to start to process the impact of the workshop in relation to their own practices. 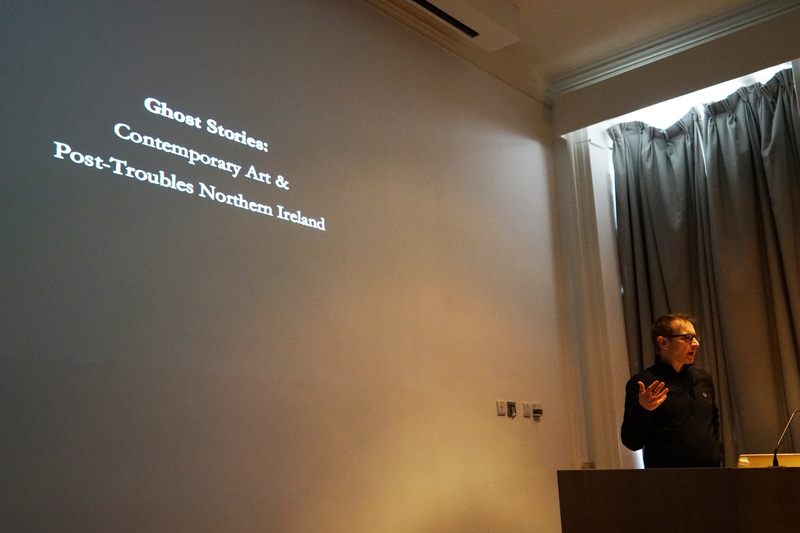 Declan Long’s seminar on Friday “Ghost Stories: Contemporary art and the uneasy peace of post-conflict Northern Ireland” (above) presented us with various forms of concrete examples of art projects. We completed this first week with a trip to Derry, which included a seminar with Willie Doherty at CCA (where we were hosted by CCA Director Matt Packer and Curator Sarah Greavu . 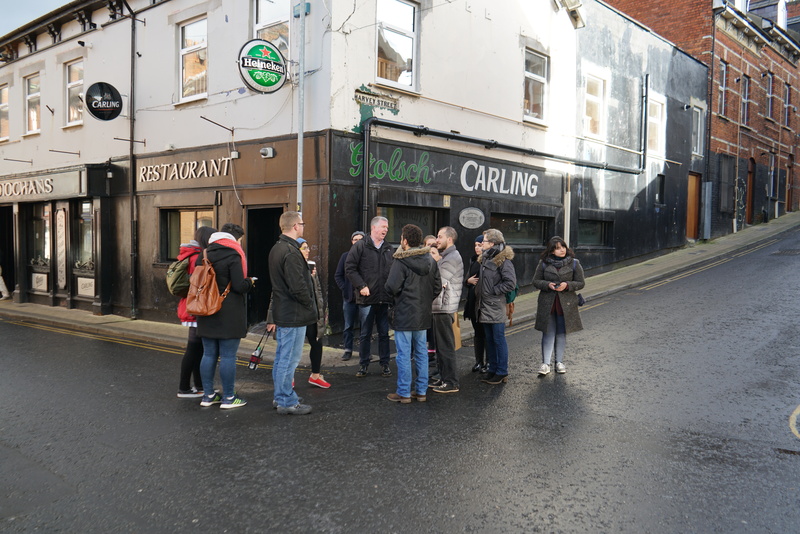 Willie spoke about his practice and his very personal relationship to this place and then led us on an intimate walking tour of Derry which included the sites of his works, as pictured below. You can hear more from Emily about her current exhibition at IMMA here (video) The exhibition is free of charge and runs at IMMA, Dublin until 26 February 2017. 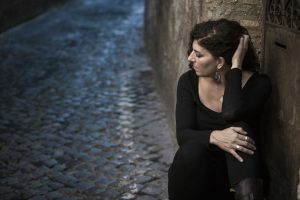 Emily Jacir. Photo John McRea, 2016.